I've often wondered what goes through a cats head. What do they think about? Food, probably. Warm surfaces to sit on? Birds to watch out the window? Their thought process must be quite different to ours, which makes me wonder; how do they problem solve? Cats are also known to develop some strange behaviours. From feeding time routines, playtime at 4 am or pat schedules. Cats usually just do whatever they want anyway, but some cats have a really strange behaviours. 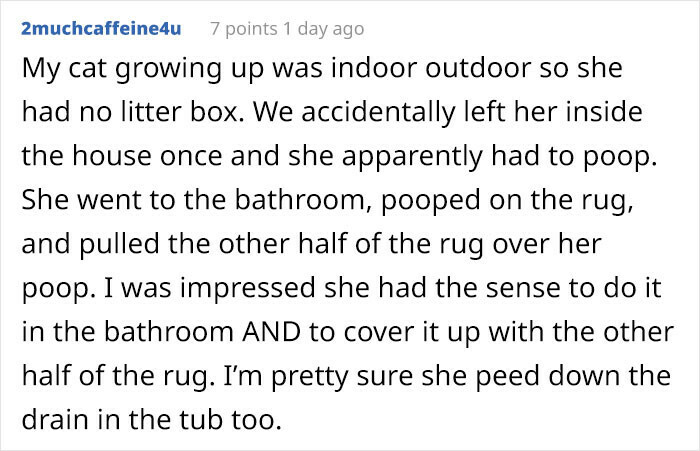 Like this cat, for example, who couldn't get to his litter box to do his business, and came up with a unique solution. 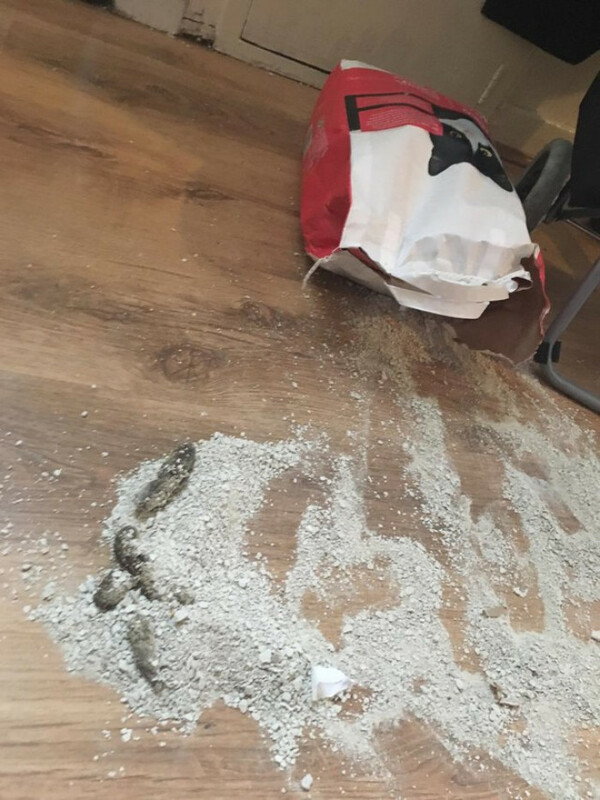 "My cat couldn't get to his litter box because the toilet door was forgotten closed at night, so he spilt the litter bag himself and pooped on it..."
The cat, Tino (which is short for Valentino), had clearly learnt where the cat litter came from and then, in a desperate time of need, managed to open the bag to do his business in the litter. 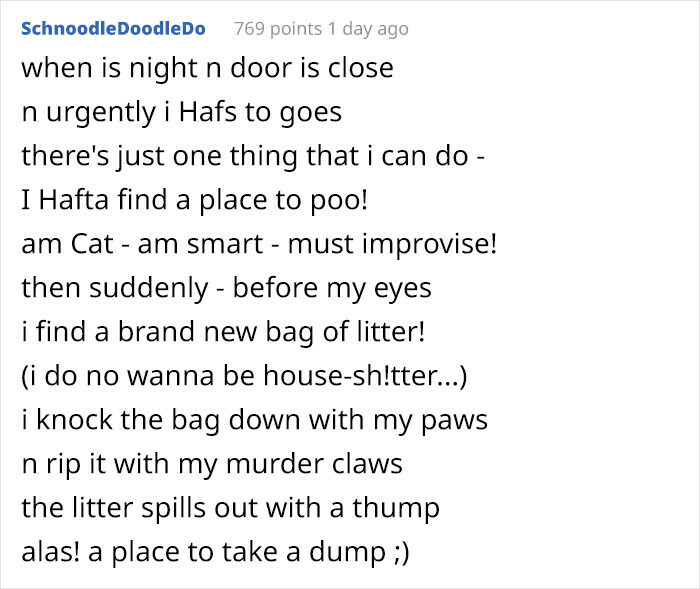 One user wrote a hilarious poem about the situation!